Young Opera Sensation Isabella Moore! 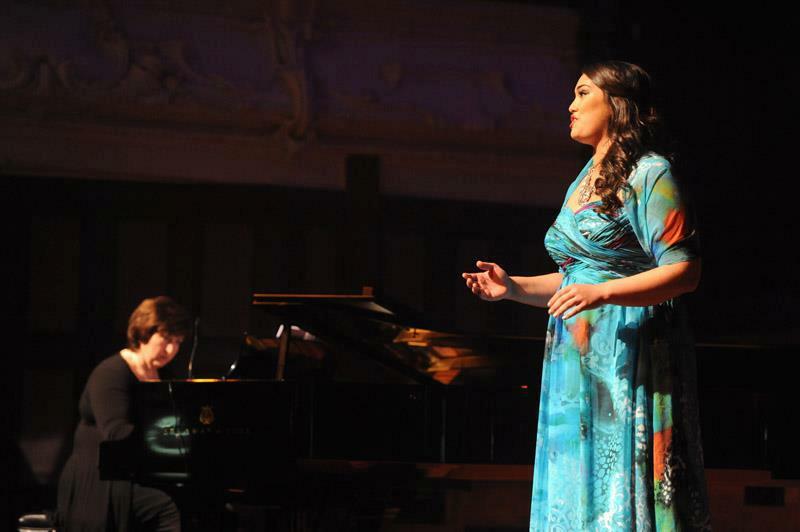 At the beginning of this year I had the pleasure in watching 21 year old Opera singer, Isabella Moore, perform live. Her performance captivated everyone in the audience and she left us in awe of her passion for her art of singing. She kindly accepted my invitation to share her thoughts about her amazing world of Opera. I am both honoured and humbled to feature Isabella on this blog. She is an inspiration indeed with a humble spirit. Enjoy my interview with Isabella. Please note: MP = Maryanne Pale and IM = Isabella Moore. MP: Thank you Isabella for this opportunity. I truly appreciate your time. As you were growing up, who did you draw inspiration from and how did they impact your life? IM: Thank you Maryanne for having me on your blog. This is exciting! Well, my Granddad, Albert Wendt, was a huge inspiration growing up and still is. Growing up, I always wanted to be like him. I love the arts and I am extremely proud to have him as a Grandfather. I knew I wanted to do something in the arts field, but I guess I wasn’t quite sure what exactly until I came across opera. I wasn’t fully aware of my Granddad’s status as a well-known writer, poet, playwright and artist in NZ until my early highschool years. I was very proud and I definitely think the fact he was such a creative mind made me opt towards the more creative subjects at school e.g. Music, Art and Photography. I originally wanted to go to the ELAM School of Fine Arts in Auckland to learn how to paint and draw and become an artist, but I ended up taking a different path (almost by accident) that led me to where I am today. My Granddad’s art influenced me and made me want to try out painting and drawing, which I still love, but I am now very focused on a career in the opera industry. MP: Your Grandfather is indeed an inspirational Samoan man. I had the honour in meeting him at the beginning of this year. Also, I have had the pleasure in meeting your Mother, Sina Wendt-Moore, who is a wonderful role model for Pasifika women in New Zealand. How have your parents encouraged you in your pursuit in Opera? IM: Well, they have always backed me 100%, which is great! Without them, I’m not sure I would be able to do what I do. They take a lot of the stress and pressure off me by acting as my managers. The not only offer financial support (being a student is hard these days…) but emotional support when I need it. I know they’re a bit biased as I am their daughter, but it’s nice to have people around that believe in me and let me know. MP: Fantastic! For the readers who may not be familiar with Opera, can you briefly explain what it is? IM: Difficult question! I would say ‘Opera’ is a classical style of singing. It started back in 17th Century, Italy when classical music fused with theatrical works and dramas/plays. When comparing RnB or mainstream music with opera, the difference is in the production of the sound, the same soul and emotion is behind the music, but when learning to sing opera you would be taught a different vocal technique to someone who is learning to sing pop. An example of the ‘opera’ style is: ‘Nessun dorma’ an aria, which was often sung by Pavarotti (you may have heard more recently sung by Paul Potts). MP: Wow! So, wow did you discover that Opera singing was a possible career path for you? IM: Well, I feel I can divide my life so far into musical sections, all inspired by different performers and genres of music. Before I started high school, I wanted to be a singer, but a pop singer! My idol was in fact Beyonce. My cousin and I would write our own songs and perform them for whoever would listen. Once I began secondary school, the amazing senior choir stunned me and as soon as I heard them I knew I had to join straightaway, this signifying the start of my ‘Classical’ period. So, I guess you could say I drew inspiration from choral music that influenced me to sing in choirs and other small ensembles. It wasn’t until my 7th form year of high school that I began to consider classical, solo singing a potential path for my career. In the music block of my school, there were the portraits of Dame Kiri Te Kanawa and Dame Malvina Major; two of NZ’s most prized opera singers. 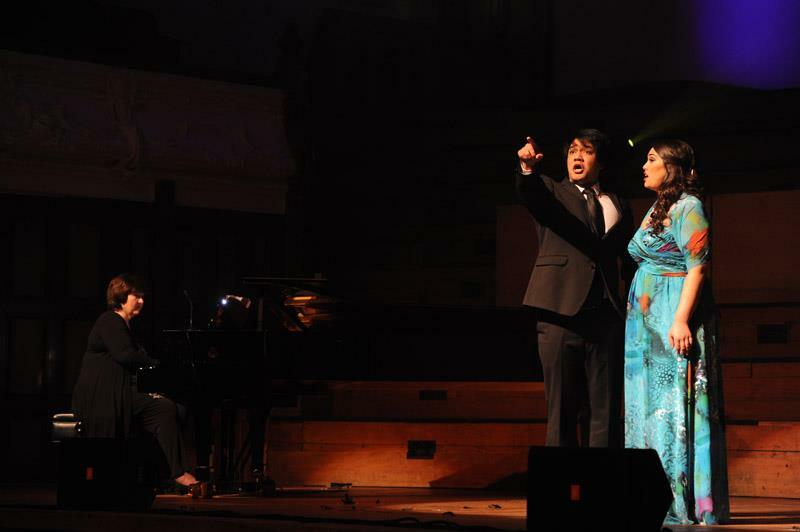 I soon became familiar with their voices and was inspired to try and conquer the art of classical/opera singing. I was very much an art-lover and spent the majority of my time in the St Mary’s College art room. It was my principal, (Sandy Pasley) and my parents that convinced me to try auditioning for a place in the 2009 University of Auckland voice class. So, I did, and was accepted! It wasn’t until the end of the first year of my undergraduate degree that I was serious about opera. My eyes were opened to the opera greats that came out of Europe and America. This was the beginning of the ‘Operatic’ period of my life, which has not yet come to a close, and I don’t think it ever will. MP: That is brilliant and definitely awe-inspiring. 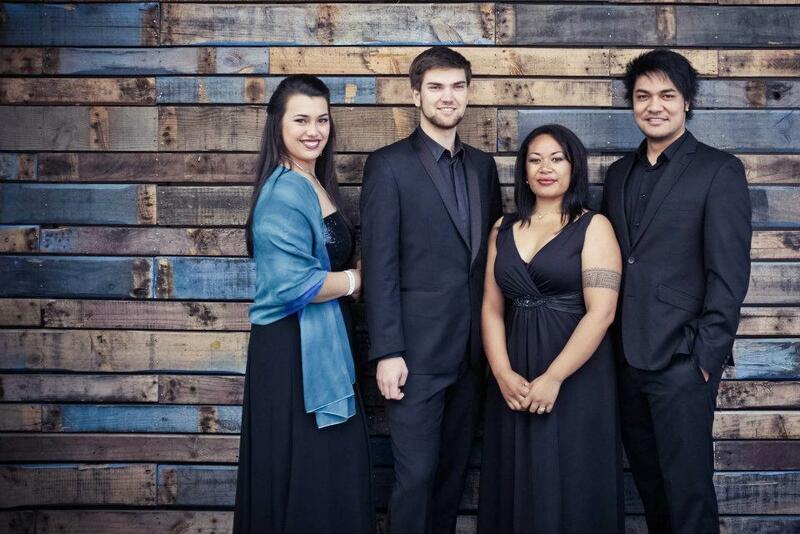 How has your Samoan heritage influenced your life and your singing career? IM: To be honest, I think it has made me more humble and I have stayed grounded. Being a singer and performer can make you lose sight of things and your ego can get the better of you and I have seen this happen before. It makes their losses and falls harder and quite brutal, which can make or break a career. They also lose support and gain enemies. I feel that my background and upbringing has made me stay true to myself and not get caught up in it all. I’m still young and have a long way to go and I know that it’s going to take hard work and perseverance, and being grounded are the keys to success. I know the difference between confidence and arrogance, which I believe is something I learnt from my upbringing and my culture. The thing I love about being Samoan is the idea of family/aiga. Every time I sing for Pacific people I feel their support and I know that I can count on them as I try and reach for the top. We know how to help and support each other and it’s a warming feeling to know that though we may not be related by blooded I have a massive Pacific aiga behind me, wanting me to succeed. 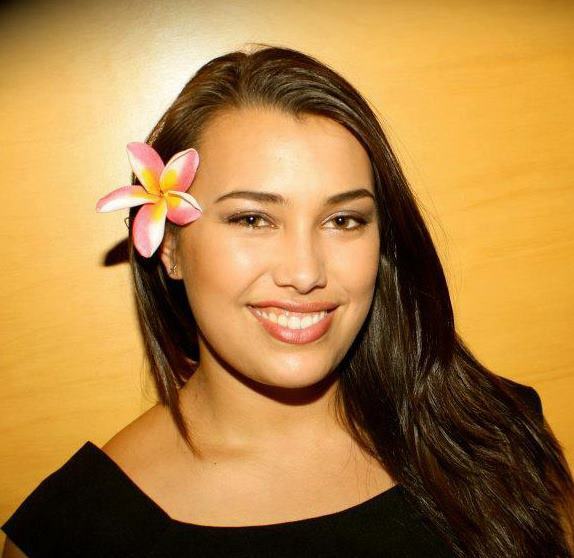 MP: Your pride in your Samoan heritage speaks volumes. Beautiful! You are currently studying, please explain what your studies entail. IM: Thank you. Well, I am studying at the New Zealand School of Music, which is part of Victoria University and Massey University, but since I study Classical Voice performance I am mostly at the Victoria University Kelburn Campus. I am studying towards a Bachelor of Music majoring in Voice performance. To gain this qualification I need to not only give performances and take singing lessons, I also need to study music theory, language and diction for singers and music history. Theory is made up of three parts: Aural, Harmony and Keyboard. Aural is the listening side of things, how to listen to music in a technical way; to train your ear and refine it so you can hear what others who don’t study music would easily miss. Harmony is the study of written music known as score reading. Harmony requires you to analyze chords and melodies and sometimes compose your own music. Lastly, Keyboard is basically to learn how to play the keyboard. This is very helpful for a singer as it gives them the skills they need when trying to learn a new piece of music. On top of all of this we need to learn the basic languages opera is sung in, these are: Italian, English, French, German and Russian. We are taught the basics so we can do rough translations of our music. We are also required to study the history of music. This is more lenient as we get to choose which eras in history we would like to look at and what genres within ‘classical’ music we would like to study. MP: In your very first Opera, how old were you and how was that experience for you? 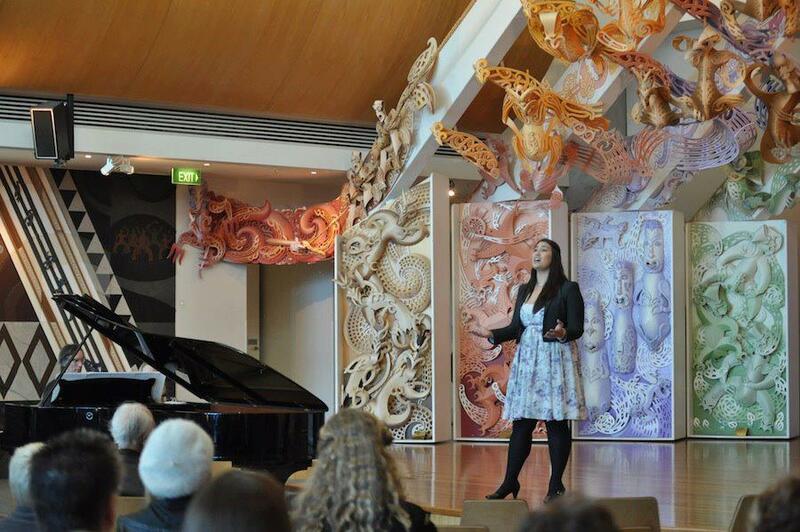 IM: I have done a lot of performances, but my first opera was in 2010 and was put on by the University of Auckland. It was called, The Daughters of the Late Colonel by Dorothy Buchanan. I was the frustrated maid who was always angry and annoyed at the other characters. I was 19 turning 20, and it was, at first, nerve-racking, but as we performed it and rehearsed more and more it became very enjoyable. There is nothing like the rush of being on stage and knowing that the audience is being captured by your voice and stage presence. The applause of the audience is a very satisfying noise at the end of a performance and once you’ve experienced it, you only want more. This was one of the performances that helped me realize that this was the career path I wanted. MP: What is your vocal range and which parts do you prefer to sing in Opera? IM: I am a soprano, which is the highest of all the voice types. I have a rather wide range; this led to some confusion in my younger years, as my teachers weren’t quite sure which voice type I should be. Just to make things more complicated, the voice types are divided into types called fach’s. The soprano voice type can be divided into approximately 5, these are: Soubrette, Coloratura, Lyric, Spinto, Dramatic. As I am still learning the art of opera singing, my voice hasn’t fully matured yet (and won’t until I am 25-30 years old). For now, I like to think of myself as Spinto, which is a heavy, fuller sounding soprano but not quite as full and heavy as a dramatic. One day I hope to be a dramatic soprano. In an opera your voice has to fit the character and my voice tends to suit the heroine characters, which are sung by Lyrics, Spintos or Dramatics. Mezzosopranos (the lower female voice type) tend to play the evil/villainous female roles. Light sopranos (Soubrette or Coloratura) often play the comical roles e.g. the maids and the friends of the heroine. Lately, I have been singing an aria that is sung by the character Leonora in Verdi’s Il Trovatore. She is a lady-in-waiting who is in love with a troubadour. It is very romantic and by the end of the opera she sacrifices herself for her lover. MP: When you are not singing Opera, what do you enjoy doing with your time? IM: I love spending time with my family and friends! I like to have brunch with my parents and brother as well as with my girlfriends, going to the beach, shopping. I enjoy exercise, especially with my PASIFIKA fitness group! We do boxing and interval training and lots of cardio, which really helps to clear your head and relieve stress. I also love relaxing and taking time out to just watch T.V. and maybe read a book, as music (performing and learning) can often consume your life! MP: Sounds awesome! Thank you for sharing that. So which Opera singers inspire you greatly? IM: Oh I love the greats! I am inspired by singers such as Mirella Freni, Montserrat Caballe, Leontyne Price, Maria Callas, Joan Sutherland and most recently Jessye Norman. These are the women who conquered the art of operatic singing technique and taught me what real singing is. They use the ‘bel canto’ technique, this translates to ‘beautiful singing’, which is exactly what they did. I can’t say much more other than, you need to listen to these women to understand why they are so inspirational. MP: I can just imagine how beautiful they sound and can see how deeply inspired you are by them. The word opera means “work” in Italian (it is the plural of Latin opus meaning “work” or “labour”) suggesting that it combines the arts of solo and choral singing, declamation, acting and dancing in a staged spectacle. Can you please explain the process of preparation for an Opera? IM: Oh this reminds me of just the other day when I was on a tour bus with the Auckland Youth Choir and Auckland Youth Orchestra (as shown in the photo below) and someone told a story of how instrumentalists always hated the singers because when an instrumentalist prepares for a concert or a recital, they practice for 8-10 hours a day, non-stop and stressing themselves out along the way, whilst when a singer prepares, they sing for 2 and sleep for 8-10 hours and that is their preparation (haha!). The funny thing is, it’s true! We do need to practice but our body is essentially our instrument, so if it isn’t rested, our voices won’t be at their best. MP: Lol! That is interesting. IM: Yes hehe! So when preparing for a show you need to make sure your lifestyle is a healthy one, regular exercise, regular sleep patterns, no drinking or smoking, no late nights! On top of this you need a practice schedule so you don’t wear out your voice and over sing, which is very easy thing to do. MP: A lot of self-discipline is required indeed. What are your favourite places to visit around New Zealand? (e.g restaurants, cities, stores etc). IM: Well, I live and study in Wellington but I call Auckland my home, so, I have many places I love to visit when in both cities. In Wellington, I am a regular at the Aro Café on Aro Street. They make amazing coffee and savory muffins. When I’m not at University, you can find me on Cuba Street. There are so many great cafes and restaurants along Cuba where my friends and I like to wine and dine, such as, Scopa, Fidel’s and Floridita’s. In Auckland, I spend lots of time in the Kingsland area near my family home. The Kingslander is my local as I have a few friends that work there! I love visiting the Auckland Art Gallery. I went to the Degas/Dali exhibition with a friend the last time I was in town, which was amazing! MP: That is great! There is an upcoming concert in which you are a part of which is exciting! Please elaborate on the details. MP: Wow! 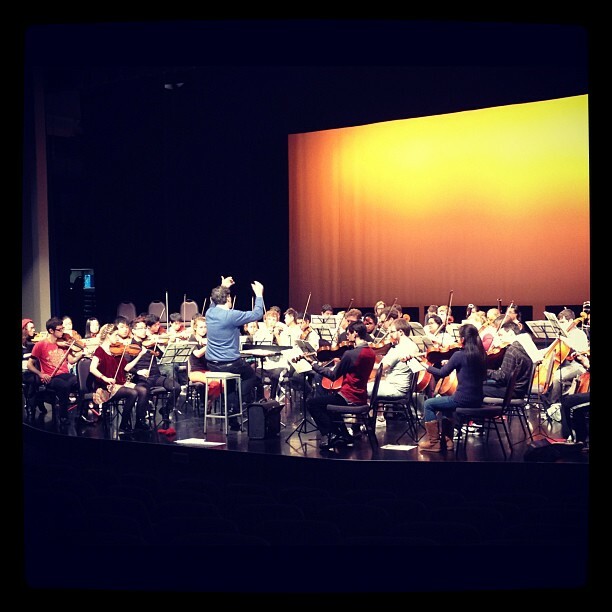 Beethoven’s 9th Symphony sounds brilliant! What advice would you like to provide for young people who are interested in pursuing a career in Opera? IM: Well, if you want a career in the world of opera, you need to find yourself a good teacher that works for you, you need to work hard and practice lots and look after yourself; the healthier your lifestyle the healthier your voice will be. The most important thing to remember is unlike mainstream music where you peak in your late teens/early twenties, operatic voices take time, like fine wine. Your voice won’t reach its prime until you are well into your twenties. I have to remind myself this everyday, as it can get tiring and there will be days where you think, “When will my voice sound ‘operatic’?” Just be patient and your time will come. MP: Fantastic advice. Thank you Isabella for your time. I have enjoyed this interview. As a final question, what encouragement would you like to provide readers with (in general) who are striving to achieve their goals and/or dreams? IM: Thank you Maryanne for this interview, it has been great and I appreciate you doing this. Well, I have learnt that you can’t rush into anything and the best results happen when you put in the hard work and give attention to detail. In terms of singing, it’s the detailed, slow and accurate work that really makes the difference in the long run. If you are striving to achieve your goals and dreams, keep going! If the hard work you are putting in is of a good quality and you’re working to the best of your ability, I don’t see why your dreams can’t come true. Believe in yourself, once you believe in yourself there is virtually nothing you can’t do. you are becoming a seasoned reporter. TV soon? Aww thanks for the compliment. I’ll just stick to my poetry blog hehe! She is beautiful—- what a woman! Maryanne thank you for the beautiful post! Great write up Maryanne!!! Love to see stories like this get posted!! Heartwarming! Hello Mary Anne and thank you for visiting my blog. This post was of particular interest to me as it is good to follow the progress of young singers who don’t ( yet! ) feature in the UK. I don’t have any contacts in New Zealand so I wonder if I could ask a favour please? A UK streaming platform has advertised their latest programme, a production from ROH, as “world wide availability” and I have put a link on my blog. Various good people around the world have tested the link for me and found it OK and, if you have the time, I would be very grateful if you can see if it works for you. I can then add NZ to the list of working countries. Sincere thanks.